The balm melts with the warmth of your skin and deeply nourishes face, hand and body. A little will go a long way so simply take a small amount, apply to your skin and enjoy the instant soothing & hydration. Shea butter is a very effective moisturiser for skin conditions such as early signs of ageing, dryness and stretch marks. It's long been used for its powerful medicinal properties. Mango Butter, Aloe Butter, Shea Butter, Jojoba Oil, Vitamin E, Bergamot Essential Oil, Neroli Essential Oil. Mangifera indica (mango) seed butter, Cocos nucifera (coconut) oil, aloe barbadensis extract (aloe) butter, Butyrospermum parkii (shea) butter, Simmondsia chinensis (jojoba) seed oil, Tocopherol acetate (vitamin E), Citrus aurantium bergamia (bergamot) fruit oil*, Citrus aurantium (neroli) flower oil*, Citral*, Linalool*, Limonene*, Geraniol*, Farnesol*. "Absolutely love this face balm I simply cannot live without it, it feels and smells amazing." "Love this product. Very smooth and silky with a lovely fragrance that doesn't leave your skin feeling greasy." 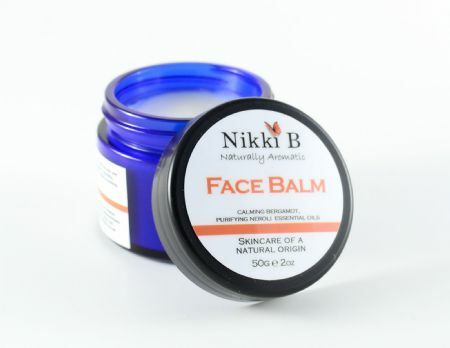 "I love this face balm, it really does melt on your skin, and it smells amazing. Its a brilliant moisturiser, just a small amount every night makes such a difference." "This is an amazing product. Just a small amount goes a very long way. It almost dissolves in your hand and feels great on the skin. Use it every night before going to bed."